The Mount Abu Wildlife Sanctuary is one of the oldest parts of the Mount Abu mountain ranges. The Mount Abu Wildlife Sanctuary is home to many sightseeing points offering fantastic views. Many people visit the Mount Abu Wildlife Sanctuary just for the sightseeing and views, but most visit The Mount Abu Wildlife Sanctuary for the animals and birds. The Mount Abu Wildlife Sanctuary is about 7 kilometres long and only 300 metres wide. This means that while you take the long walk down The Mount Abu Wildlife Sanctuary you won't miss much on either side. The Mount Abu Wildlife Sanctuary is located in one of the regions oldest mountain ranges- The Aravali. The area was declared a wildlife sanctuary in 1960. In addition to the sightseeing opportunities, the Mount Abu Wildlife Sanctuary is a popular destination for eco-tourism. 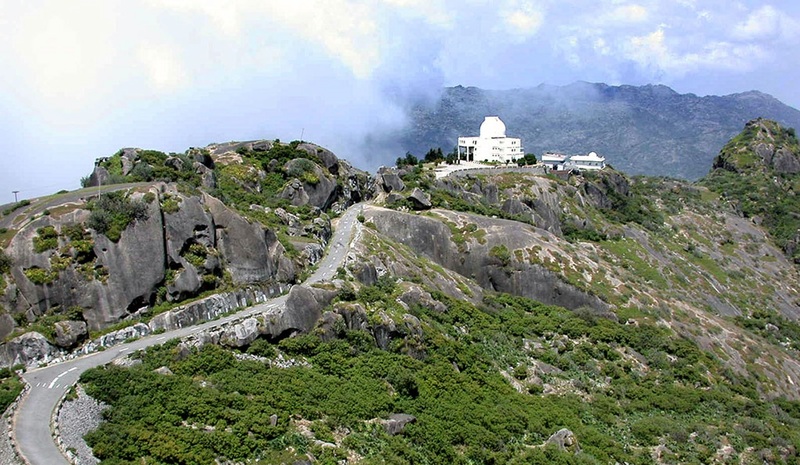 The Mount Abu Wildlife Sanctuary crosses a variety of mountain highs, from 300m to 1722m at Gurushikhar- the highest peak in the Aravali Ranges. The Mount Abu Wildlife Sanctuary is full of floral beauty. There is an evergreen forest that meets the water and the valleys on the other side. The Mount Abu Wildlife Sanctuary houses around 112 plant families with 449 genera and 820 species. Many of these species are dicots and the rest are monocots. You can also find many orchids at the Mount Abu Wildlife Sanctuary. Don't forget the many roses and bamboo rich areas. A variety of fauna Including highly rare, threatened and endangered species are found in this sanctuary. The past history of Mount Abu indicates the presence of Lion (last recorded in 1872) and Tiger (last reported in 1970). Presently the Panther is the apex predator. Other animals found here are Sambhar, Jungle Cat, Small Indian Civet, Wolf, Hyena, Jackal, Indian Fox, Common Languor, Wild Boar, Pangolin, Rat!, Common Mongoose, Indian Hare, Porcupine, Hedgehog, etc. The sanctuary provides an ideal habitat for Sloth Bear; The population of Sloth Bear is increasing regularly as it can be seen while going through the forests or motoring on the road.